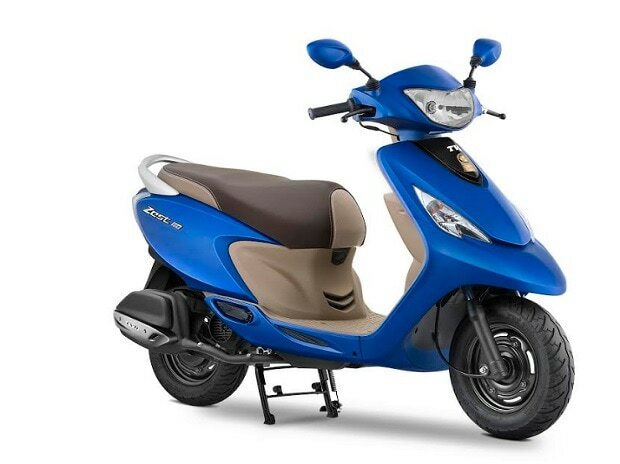 TVS Wego Matte blue TVS Motor has reported a 11.1 per cent growth in two-wheeler sales in November 2017 at 243,323 units in November 2017 as compared to 219,088 units in November 2016. Domestic two-wheelers recorded a growth of 6.1 per cent with sales increasing from 191,499 units in November 2016 to 203,138 units in November 2017. Scooter sales of the company grew 7.2 per cent from 73,135 units in November 2016 to 78,397 units in November 2017. Motorcycles sales grew by 37.3 per cent with sales increasing from 67,896 units in November 2016 to 93,202 units in November 2017. The company's total exports grew by 43.8 per cent from 32,829 units in November 2016 to 47,207 units in November 2017. Two-wheeler exports grew by 45.7 per cent up from 27,589 units in November 2016 to 40,185 units in November 2017. Three-wheeler sales grew by 46.9 per cent, an increase from 5,883 units in November 2016 to 8,642 units in November 2017. TVS Motor registered a 12 per cent sales increase, which is up from 224,971 units in November 2016 to 251,965 units in November 2017.